Choosing the right power supply for a Led strip is very important to guarantee a correct and enduring installation. We’ll analyze in detail some essential features to choose the power supply for our Led system. Type: Verify which kind of power supply you’re using. The most popular are Toroidal, Electronic and Switching, the last one is the most used for flexible led strips, because of the smaller size and high efficiency. Voltage: Verify if the Led strip is powered with 12 Volt or 24Volt constant voltage and use a matching power supply. Protection: Depending on where you install the led strip, you have to choose the proper IP degree of protection for both the ledstrip (read the guide about it here) and the power supply. 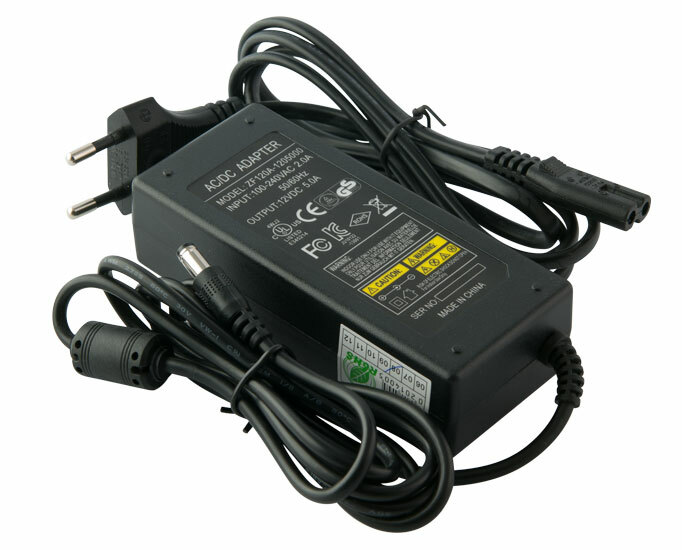 Usually power supplies come with an IP20 protection for indoor and IP67 protection for outdoor. Voltage drop: If you connect 10 meters or more of Led strip, it is necessary to fix the voltage drop with a regulator, which usually is inside the power supply (if the model allows it). Efficiency: To check the power supply’s quality you need to verify the efficiency (power factor): a ratio expressed as a percentage between the consumed power and the power available in exit. A good power supply has a value higher than 80%. Which power supply is needed for a 2 m long led strip with 14,4 W/m power consumption? Then add about 10-15% in order to not overdrive the power supply. So in this case the right power supply needs to have a power of 35 W (about 20% more than the absorption of the led strip).